When your child in his sleep screams common things like “The bike is going too fast!” that would appear normal if he loves cycling. But what if your child screams out, “Plane on fire! Little man can’t get out!” during recurring nightmares? Of course any parent would be concerned. And so were the parents of James Leininger considering that the boy had just started learning how to speak. 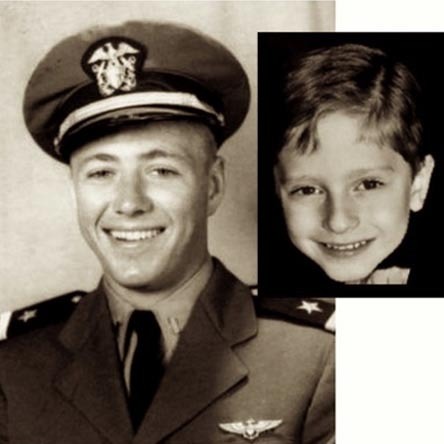 His parents further claimed that little James started revealing extraordinary details about the life of a former fighter pilot known as James Huston. He also seemed to be well informed about the kinds of WWII aircraft used. One time when his mum referred to an object at the bottom of a toy plane as a bomb, the toddler disagreed and said it was a drop tank. Another time James claimed that in his previous life, he still was called James and he flew off a ship named Natoma. Upon research, his parents found out that there indeed existed a WWII aircraft known as the USS Natoma Bay which in its troop was a pilot by the name James Huston, who died in action over the Pacific. Next article10 Most Scariest Places on Earth You Never Want to Visit!